Participants applying for VISA to Israel can request a formal letter of invitation for presenting to the Israeli embassy in their home country. Participants arriving at the Ben-Gurion Airport on Oct. 23 will be assisted as they leave baggage claim by a conference steward. The steward will be carrying a 2017 EFPM Congress Sign so that participants can recognize him/her and guide them to the train station where he/she will order a ticket to the Leonardo Hotel on their behalf. Upon arrival in Haifa, a conference steward will guide participants to the hotel shuttle service. To receive the above described service, participants must select this option on the Registration Form. If you are interested in travelling within Israel during your stay, there is also a service cab available which is similar to a bus, but picks up only up to 10-12 passengers at any time. It stops or lets off passengers wherever they wish on its route. (Looks like a mini-van, white and yellow, with TAXI written on it). In Israel, the electric current is between 110-220 Hz. 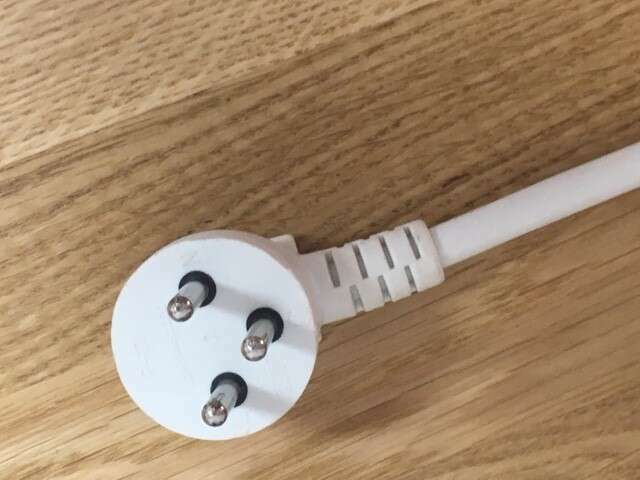 If you are bringing devices with a different electric current, we suggest you bring a universal adaptor. 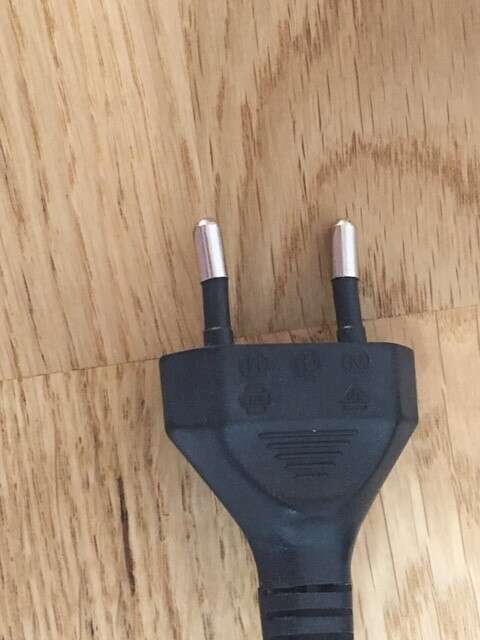 Appliances with either 2- or 3-pronged plugs can be used in electric outlets (see pictures below). In order to prevent any computer complications, we strongly urge all participants to send us power point presentations so we can upload these in advance and check that they can be uploaded on our system. If you are using any other technological tools or video clips, we suggest you send these to us in advance to check on our system as well. No materials you send us will be made public without your consent. Our Information Technology staff will assist participants in uploading their presentations on site as well. Most business establishments in Israel accept only New Israeli Shekels. Currency exchange points are available and usually offer a better rate than banks. ATM machines are also widely available and credit cards can be used to draw cash in Israeli currency. Friday is considered a half day in Israel and most business establishments close at about 15:00 until Saturday at sundown (about 19:00-20:00). Some restaurants and cafes are open (especially in Tel-Aviv) and kosher restaurants are closed. There is no public transportation (trains and buses) from Friday afternoon to Saturday at sundown. However, service cabs (see above) and taxis are available. Haifa is located along the shores of the Mediterranean Sea in a natural bay into which the city descends from atop Mount Carmel. It is a city blessed with remarkable landscapes and long sandy beaches. It is a modern tourist city which is home to academic institutes, student activities and high-tech centers. Haifa is a unique city, home to residents of all religions and ethnicities living together in peace, harmony and mutual respect. There are no slogans in Haifa, only a reality that was created by all of the city’s residents, which symbolizes, more than any other city in Israel and perhaps any other city in the Middle East, the aspiration for peace and its realization. We, the residents of Haifa, know that when peace will come, it will be based on the “Haifa Model,” a model that all of Haifa’s residents have shaped together. Nazareth is the largest Arab city in Israel, and the political-cultural center of the country’s Arab minority. The city’s holy sites, Arab market and authentic restaurants attract domestic tourism as well as tourists from all over the world. In 2000 the city center was given a facelift in anticipation of the arrival of many pilgrims and visitors to Israel for the visit of the Pope. In 2015 its population was 75,726, The inhabitants are predominantly Arab citizens of Israel, of whom 69% are Muslim and 30.9% Christian. The Church of the Annunciation is the largest Catholic church in the Middle East. The Church of St. Gabriel is an alternative Eastern Orthodox site for the Annunciation. The Synagogue Church is a Melkite Greek Catholic Church at the traditional site of the synagogue where Jesus preached . The Joseph's Church marks the traditional location for the workshop of Saint Joseph. Muslim holy sites include the Shrine of al-Sheikh Amer, the Shrine of Nabi Sa’in, and the Shrine of Shihab e-Din. Places of worship include the White Mosque (Masjid al-Abiad) and the Peace Mosque (Masjid al-Salam). The oldest is the White Mosque, located in Harat Alghama ("Mosque Quarter") in the center of Nazareth's Old Market. Economy :In 2011, Nazareth had over 20 Arab-owned high-tech companies, mostly in the field of software development. According to the Haaretz newspaper the city has been called the "Silicon Valley of the Arab community" in view of its potential in this sphere. Nazareth Illit: "Upper Nazareth") is built alongside old Nazareth, and had a Jewish population of 40,312 in 2014. The Jewish sector was declared a separate city in June 1974. Established by the French religious community of Chemin Neuf, the center has the backing of all the region’s religious denominations. Set on four floors in a converted 17th century building, visitors can follow Mary’s journey, including an hour-long show spanning four rooms that involves surround sound, wide-screen cinema and 3D effects. Viewings are possible in eight different languages. walk goes through Nazareth's famous market and is suitable in case you have a very short time and wish to enjoy the Old City's atmosphere and walk through the varied market stores. The Old Market of Nazareth is one of the most fascinating markets in Israel. A new "Lifestyle Center" (a new concept for Israel brought by Big Shopping Centers Group), and is first of its kind in Israel. It is characterized by a mixture of stores emphasizing fashion, cosmetics, jewelry and coffee shops. Liwan offers coffee,culture and local products; tours and talks.4. There are regular events,such as music concerts, cinema, art exhibitions, workshops. Liwan is an authentic place in the heart of the old city of Nazareth. Every piece of furniture, every bite of food in this spot has a story. Akko is a living city, which has existed continuously for about 4,000 years. Its beginning was in Tel Akko, more commonly known as Napoleon Hill. From the Hellenistic period onwards the city expanded west to the area that later became the Crusader and Ottoman city. In 2015 the population was 47,675. Akko, one of the hundred wonders of the world, was chosen in 2001 by UNESCO as a World Heritage SiteAkko historic and fascinating heritage has turned it into a unique meeting place of art and religion. The city covers an area of about 11 square kilometers, and its 53,000 residents reflect a unique blend of ethnic groups and religions: Jews, Muslims, Christians, Armenians, Druze, and Bahais who live in exemplary coexistence. The city is full of unique attractions and historic sites, which position it at a key place on the tourist map of Israel, drawing more than one million tourists a year. a walk following Napoleon's route.